There are certain rules to packaging that most people either don’t know or don’t follow. If you want a removal company that can help you follow these rules, and therefore make your relocation relatively stress-free, call Putney Removals on 020 8746 9619 today. Packaging is a lot more difficult, and monotonous, than people realise which is why it is important to have experienced assistance when undertaking it. By hiring our company to provide you with an extra set of hands, you will see that when packaging is done correctly, the rest of your move will become much easier, making your life simpler in the process. The first rule to packaging before a move is to decide where each item will go at your new location. That is, you should decide whether an item will go in the living room, for instance, or the kitchen, or a bedroom. This should be the same for office removals too, be as specific as you can. Although this takes some time, it is worth it in the end as it will save you an inordinate amount of time when it comes to unloading and unpacking. 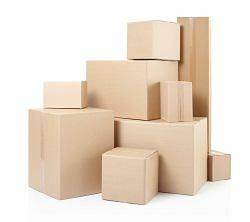 Each box, then, should contain items that will go to the same location at your new property. Everything for the living room should be together, everything for the manager’s office should be together, and so on. If you then label the boxes with the appropriate room – or location, the contents of the box, and whether or not the items inside are fragile, unpacking becomes much easier. If you don’t do this, you will find yourself running around searching through each box trying to find out where each individual item should go. Why waste your time on such unnecessary things when you could be spending your time on other constructive activities? Secondly, it is important to have assistance that will not enhance the chances of breakages or damages. All of our staff are well trained in the removal business and therefore know exactly how to handle your belongings. Our experience in the field means that we have dealt with a wide range of possessions ranging from antique vases to brand new computers or televisions. It doesn’t matter what the item is, we know how to pack it away safely and securely. By hiring us, you will actually be reducing the probability of you having to spend more money in the future; the more breakages you have the more money you have to shell out later on. But if you have us helping you, the chance of breakages is reduced and therefore so is potential expenditure. Nobody needs to worry about extra costs, especially in this financial climate, so why take the risk? 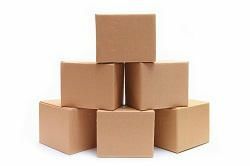 We also provide all the necessary materials for packaging: boxes; bubble wrap; furniture covers; packing paper; tape; and wardrobe boxes. This means that you don’t have to hunt these materials down yourself, saving you time and allowing you to concentrate on more important things. All of this is available at a fantastic price because our aim is to remove the stress out of removals. Reducing costs is one of our ways to do this. If you want a free quote for our packaging service, pick up the phone and call us on 020 8746 9619 immediately. With our help your move will be absent of the usual practical issues that pop up and cause movers chaos.